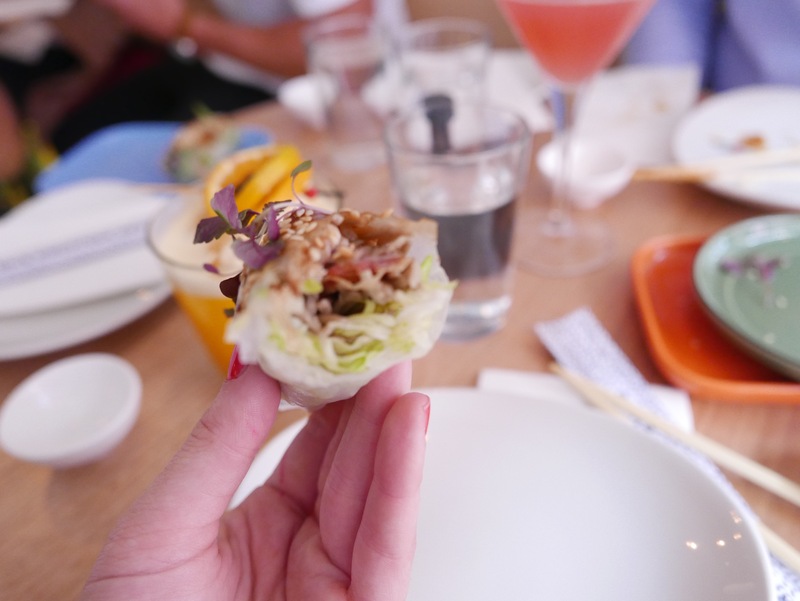 This week I was invited to meet Mr Miyagi’s mistress, Yukie’s Snack Bar! 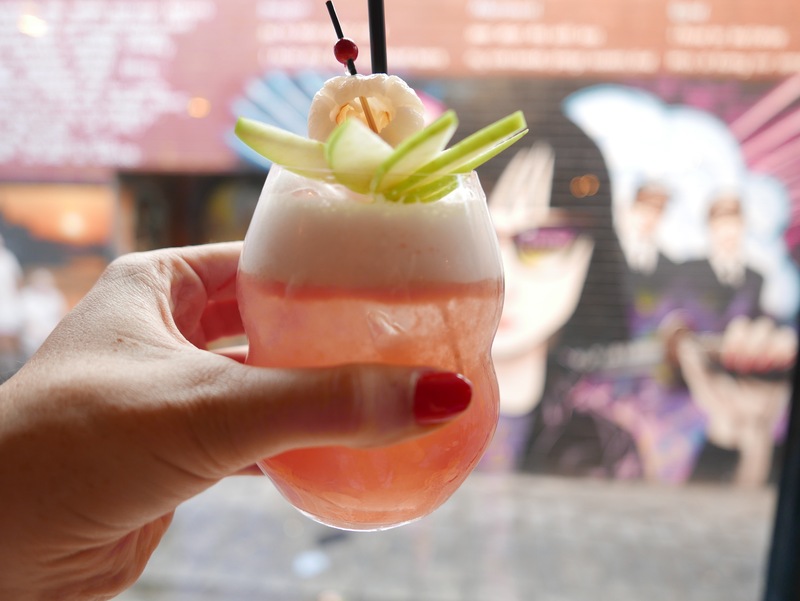 Yukie lives out the back of Mr Miyagi, and it is a small, happening bar where you can enjoy a pre-dinner drink or many, accompanied by some delicious Asian inspired snacks. 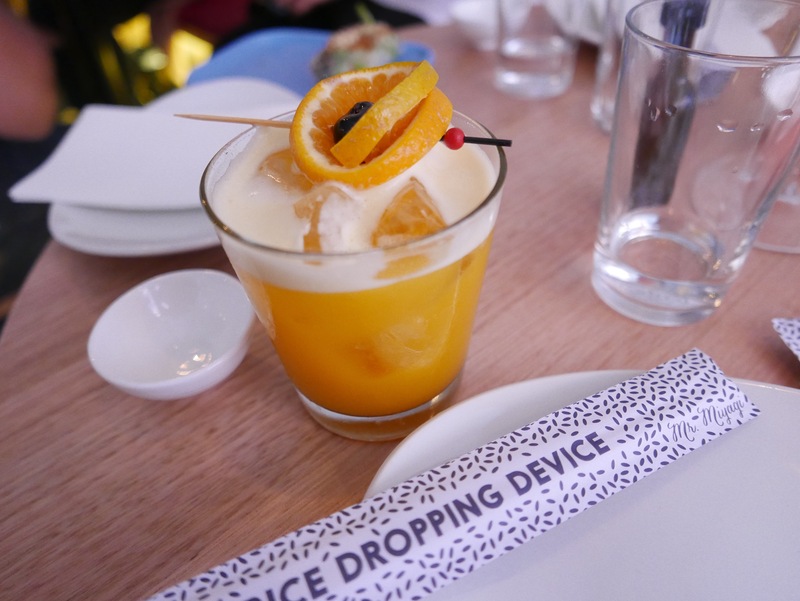 Yukie’s is exactly what you would expect for Mr Miyagi to choose to fool around with- a trendy, light filled space offering up some of the typical Miyagi funky and innovative menu items. 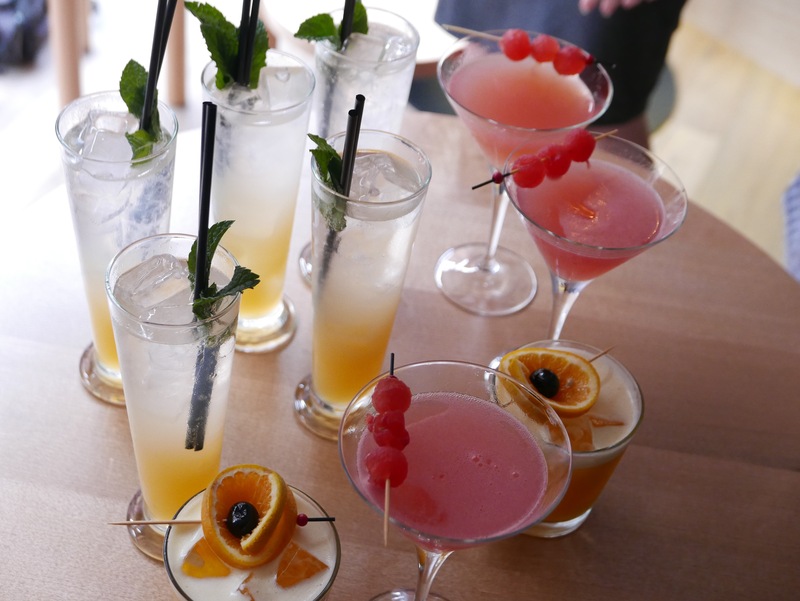 The cocktail menu is extensive. 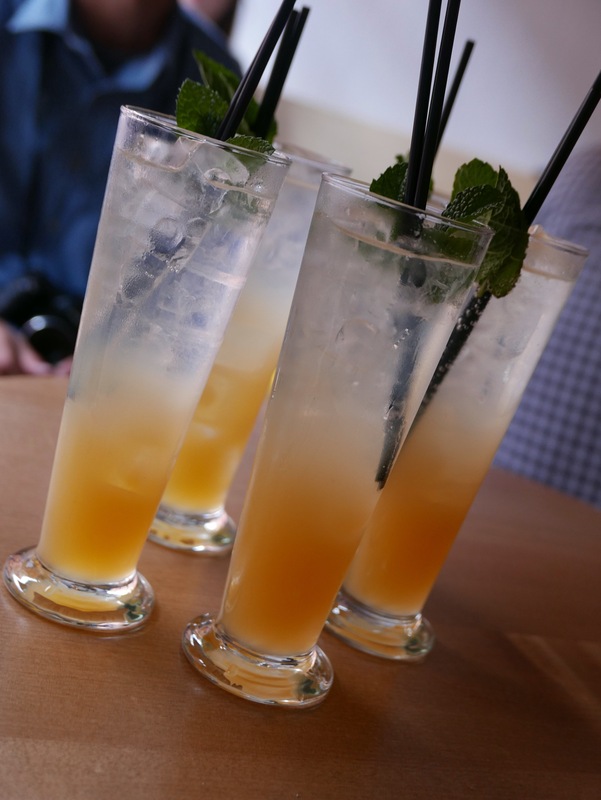 My favourite was the Mr M’s Mai Tai- a tropical take on the Mai Tai with banana and mango! 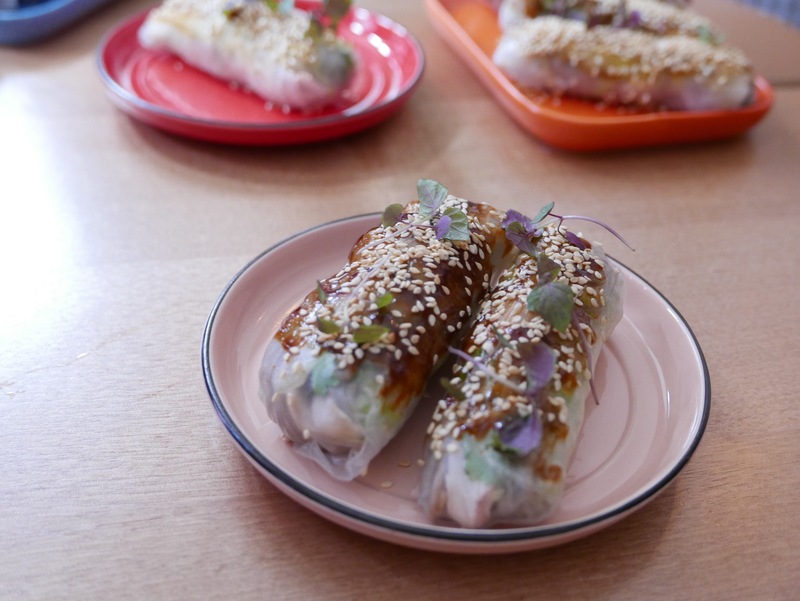 The rice paper rolls are were fresh, light and different from your typical rice paper rolls. It was hard to choose a favourite between the grilled eggplant or the soba noodle and chicken flavours! 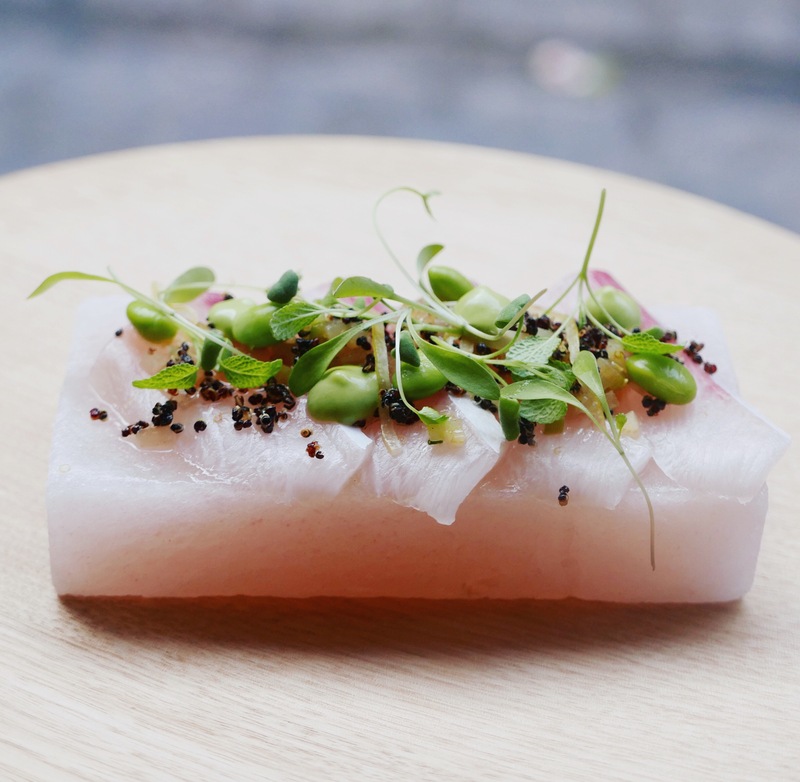 The salt slab cured kingfish was divine- beautifully presented on slabs of pink Himalayan salt that slowly cures the fish as it sits in front of you, it was complimented with flavours of fennel, pear and apple. 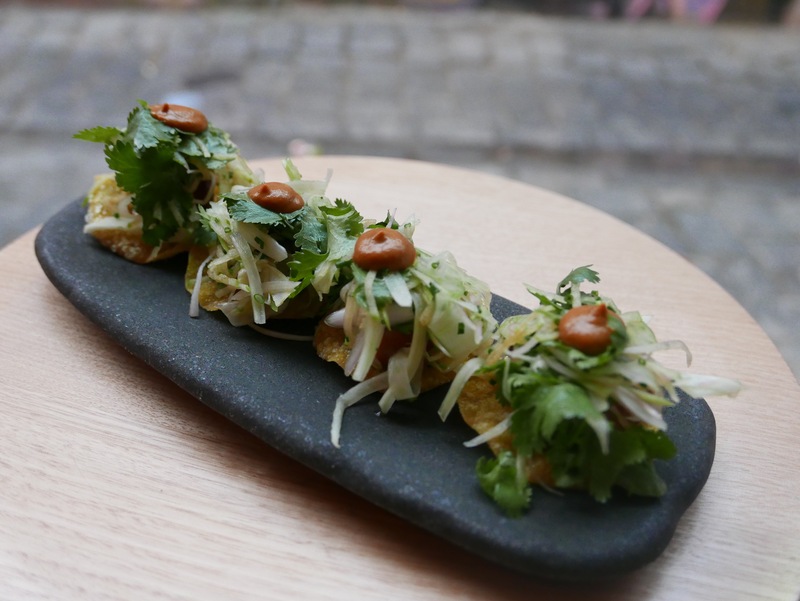 My favourite of the bar snacks is one many of you may have already tried as it is on the Mr M menu- the wagyu tartare pipe combines soft wagyu mince with peanut butter, miso and capers in a spring roll wrapper. It is so different and delicious, and the textures work so beautifully- I could eat so many of these! 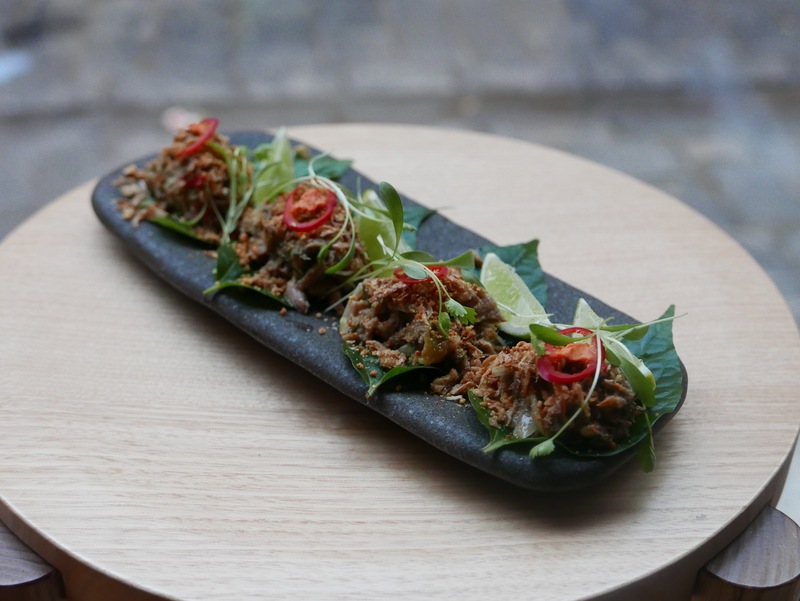 The wagyu brisket betel leaf was a bite size mouthful of flavour- satay, chili, lime and coconut. I had mixed feelings about the apple wood smoked salmon tostada. The salmon pieces were generous and delicious, but I found it hard to pair it with the Mexican flavours and my palate was a tad confused! 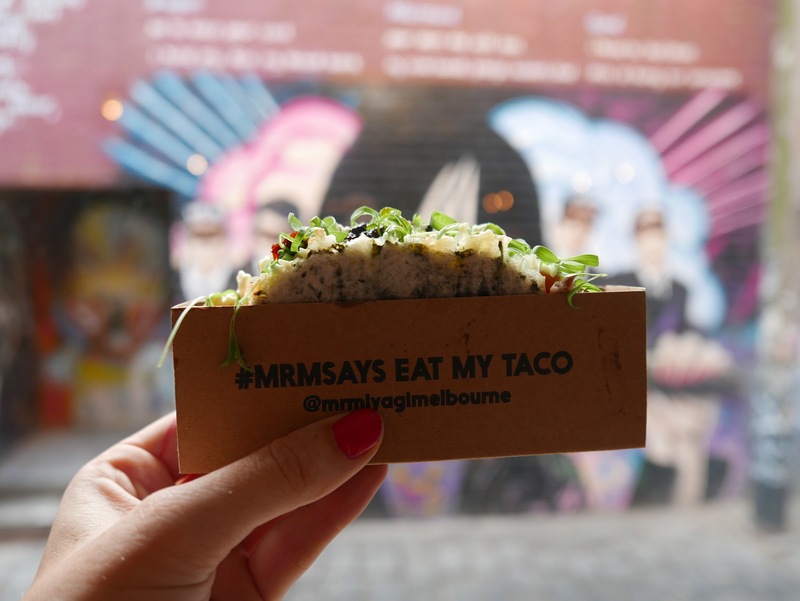 Although not a feature of Yukie’s menu, it is worth the wait to try one of Mr M’s Nori Taco which is one of my absolute favourite dishes in Melbourne! 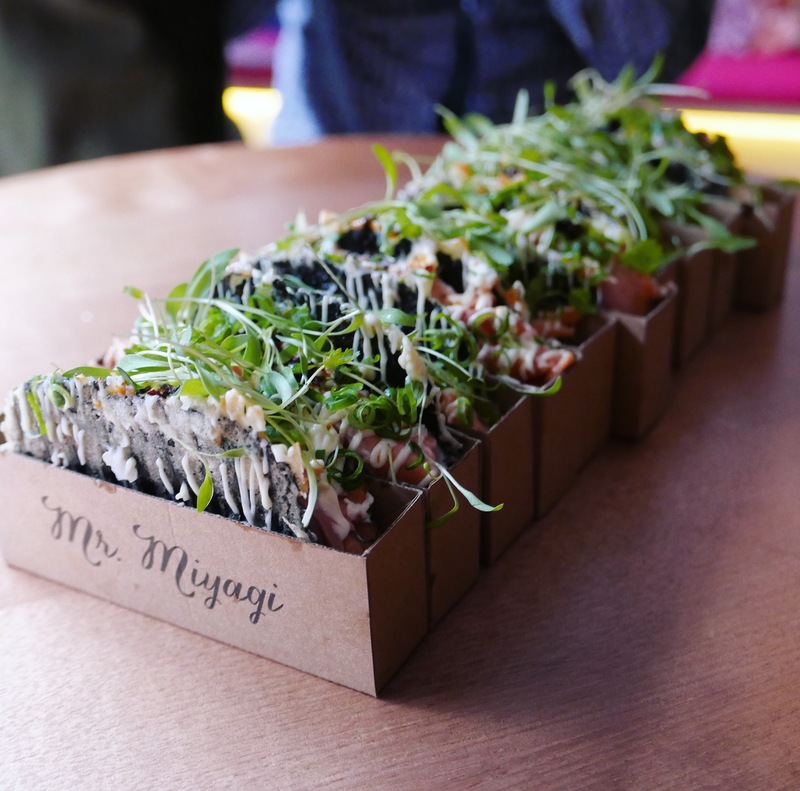 I couldn’t recommend it enough- crispy nori stuffed with salmon, avocado, sushi rice and a spicy mayo. 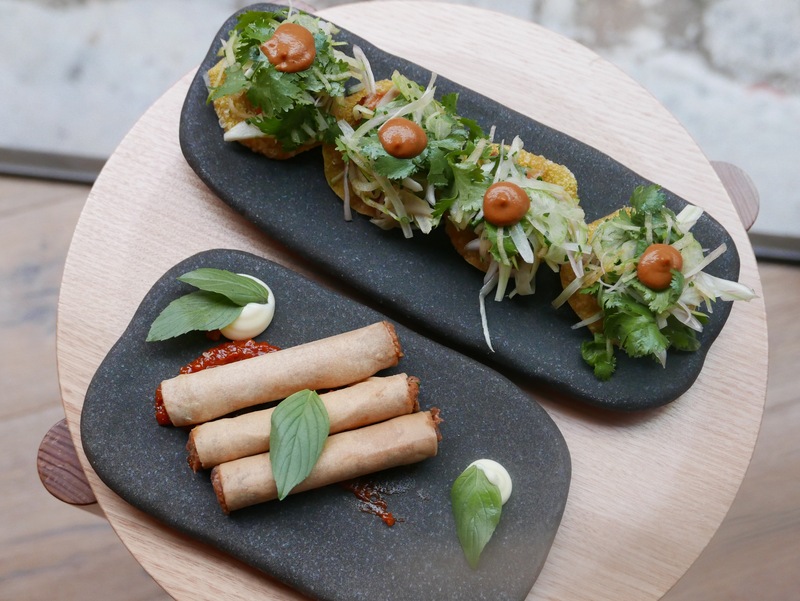 It is everything Mr M represents- funky fusions of flavours and dishes that bring the party to the table! 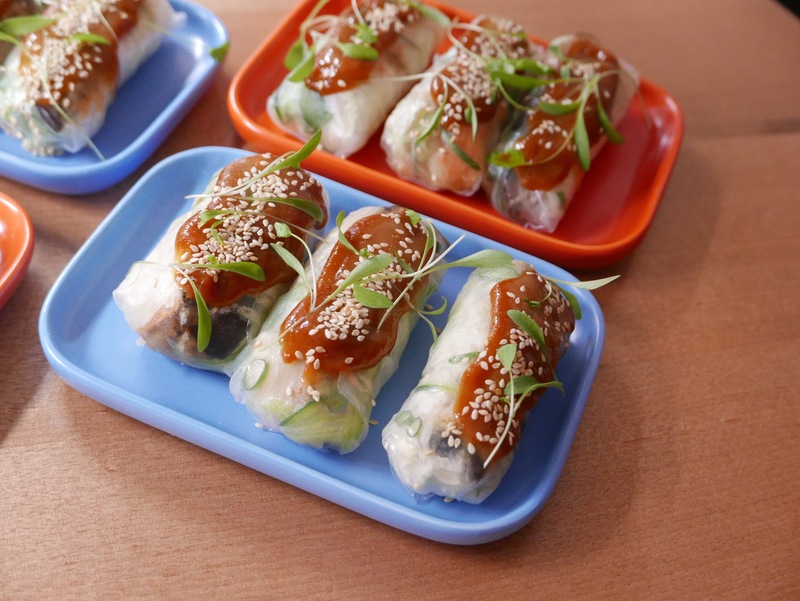 Next time you are waiting for a table, see if there’s space to grab a bite to eat at Yukie’s- Mr M says so! 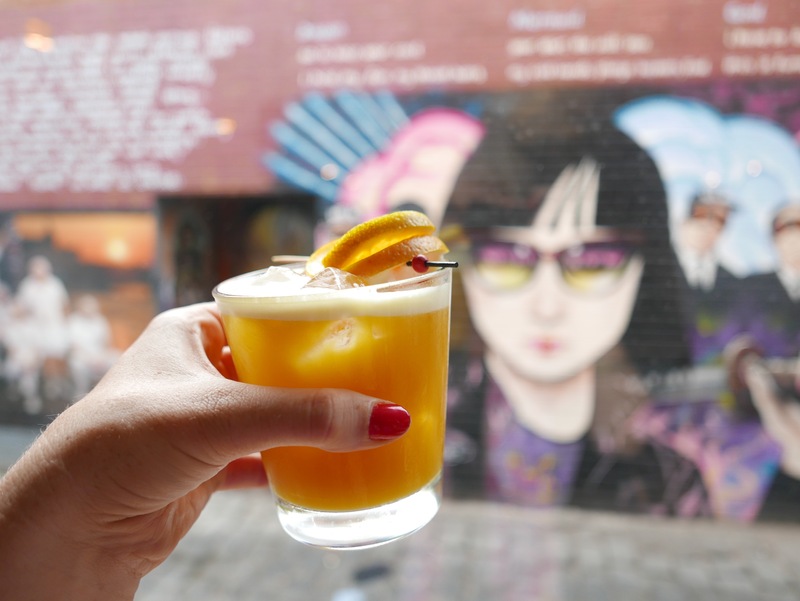 Please note: Foodie Melbourne dined as a guest of AMPR and Mr Miyagi, but has eaten there before out of her own pocket and LOVES Mr M! Looks like a great place to bring a group of friends so you can order and try everything! 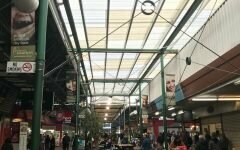 What a fun place! I havent made it to Mr M yet, the line is always too long! North? West? South? East? 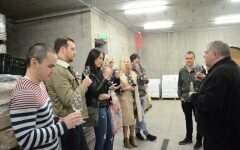 The only direction is wine, with Wine Compass.